Hair transplant surgery has evolved over the years to allow for restoration of a more natural hairline when other treatments have failed. Hair transplant surgery involves taking small micrografts of hair from the posterior scalp (not the bulky plugs of hair that were done decades ago) and surgically transplanting them individually into the desired area for hair restoration. Each graft only contains a few hairs, and are placed to most naturally mimic the direction and pattern of the natural hair in the area. The success of hair transplant depends on the fact hair follicle roots moved from their original location on the body to another area will retain the properties and behaviors as they did in their natural site. 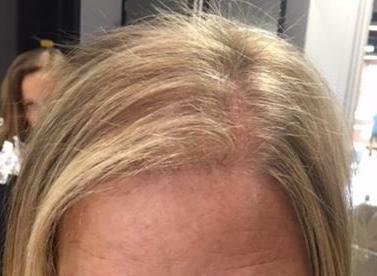 If the transplanted hairs were not susceptible to the thinning effects of hormones in their original location, they will not be in their new location. Multiple sessions may be required as hair loss is a progressive process that may continue to occur over time. Our physicians have routinely observed continued hair growth in transplanted hairs more than a decade later. The newly transplanted grafts will from a small scab at the recipient site and will be delicate for approximately 10 days. During this time, washing of the hair or any vigorous combing or brushing must be avoided. Antibiotic ointment needs to be applied frequently. For these reasons, it is probably best not to be in important social situations, or at least to be able to cover the area with a hat for approximately 10 days if you do not want others noticing the procedure that was performed. It may take up to 6 months for the newly transplanted hair grafts to heal, start to grow new follicles, and thrive. Patience is needed to see the full results. 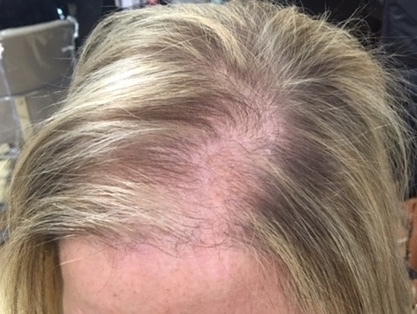 Tru-PRP for hair loss is an exciting non-surgical therapeutic option for patients requiring stimulation of pre-existing follicles for hair growth. Tru-PRP is done in the office and begins with a vial of blood being taken from your arm, just like a blood test. The blood is then specially processed in a centrifuge to separate out the platelet rich plasma layer (PRP). The PRP is then injected into the scalp around the affected areas of hairloss. PRP contains concentrated platelet cells that can cause growth of the hair follicles by stimulating the stem cells and other cells in the microenvironment of the hair follicle. These platelet cells promote healing, accelerate rejuvenation, and promote new cellular growth. The primary purpose of using PRP in hair restoration is to stimulate inactive or newly transplanted follicles into an active growth cycle. Typically, multiple sessions are required and are performed approximately every 3-4 months. Tru-PRP offers the opportunity for hair regrowth to those patients who may not be a candidate for hair transplant surgery or wish to delay hair transplant surgery. Commonly, hair transplant surgery and Tru-PRP are performed together, at the same time for optimal results.